Editorial note: We have a new CNN.com for the New Year. CLICK HERE for our new home. 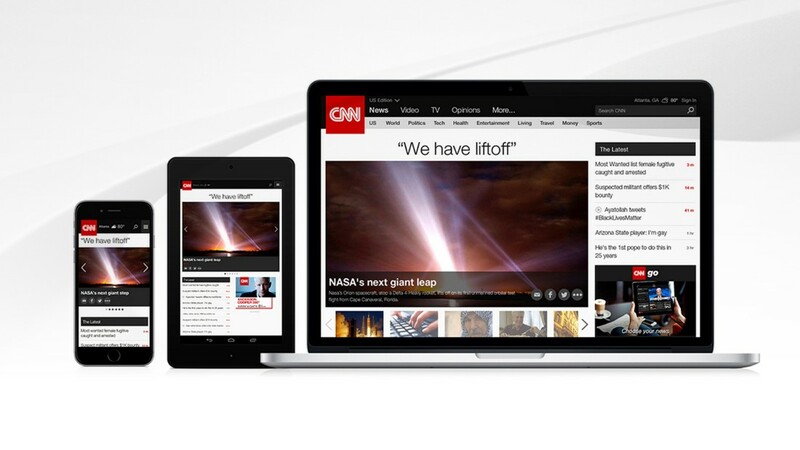 (CNN) – Welcome to the new mobile and desktop sites for CNN. CNN's independent, global journalism is expanding. We share the essential stories of the world we live in, from Ferguson to Syria to Nigeria, from mysteriesto marvels. We cover creative acts and intriguing people. We tell you what we know when we know it. We explain, we investigate, and we uncover big stories. We are bringing those stories to more people around the world on more screens, feeds and devices than ever before. More than 15 million people around the world experience CNN on their phones, laptops, tablets and desktops and in their social feeds every day. This new design spans our domestic and international sites and reflects our expanding reach on the critical stories of our times. It's fitting that our internal code word for the launch of this new site was "expansion." -I have just noticed -as I haven't been around here much of late- that this posting is in January when in fact it is March, I think you really must be frozen up in the United States.... What, you can't handle a good old fashion Canadian winter?!! Ha, ha.